Nana&apos;s Lodge, Robertsport Best Price Promise! 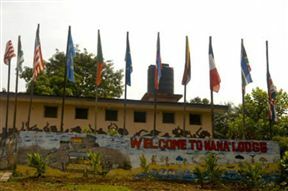 Nana’s Lodge is essentially an upgraded tent and cabin-based resort. It is located on the beach in Robertsport City, Grand Cape Mount County - Liberia&apos;s surfing and tourism capital. The Tents and Cabins are comfortable and feature electricity, with a fan to keep things cool.